What’s on our shelves? Only matters of infinite hope. Most of us when we go into other people’s homes will surreptitiously check out the bookshelves and the music collections, forming our impressions of the owners’ character from what they read or listen to. Most of us know that others do this and so the books in the public spaces will be arranged to particular effect, different from the working books. Upstairs, on the main floor of this house, built in 1939, just off the foyer there’s a tidy room with real built-in bookcases. The house’s own small but dignified library: dark, solid walnut shelves. Now a sitting room-TV room-library. The show library. Here are the big hardback novels. And your father’s leather-bound Britannica Great Books—54 unread volumes. Also a complete set, as resonant as a train whistle from your childhood, of the Encyclopedia Britannica. And The Riverside Shakespeare. Books as decoration, as aspiration, as comforting totems. The door to the library was in the corner and the bookcases jutted out into the room so that nobody coming in knew at first whether you were there or not. You felt twice removed from the outside world, secure to dream. On the second floor, there’s your real library, in a spare bedroom. What you think of as your Working Library. This repository has required the recent acquisition of two huge new bookcases. Oak to match two stout butcher-block cases—each five feet tall and thirty inches wide—your mate gave you years ago. New bookcases were necessary because the small ones were full and hopelessly jumbled. There were stacks of books on the floor around them. Sometimes it was easier to buy a new book suddenly needed for teaching than it was to find the copy you were sure you had. Somewhere. Now the two little bookcases, to the left, hold your books on writing, your essay and poetry collections, your religion, spirituality, and self-help volumes. 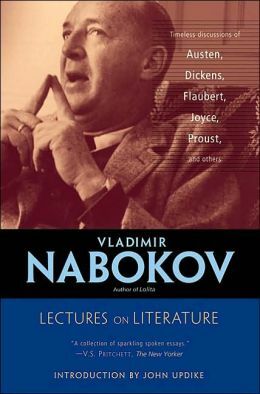 Some of these summon a younger you: Vladimir Nabokov’s Lectures on Literature; John Calhoun Merrill’s Existential Journalism; your father’s copy of Dorothea Brande’s Becoming a Writer; his own book, Success Without Soil. You’ve lugged them around since before college and shortly after. Atop of one of the original bookcases is a huge and growing pile of to-be-read. You promise yourself to peruse these before ordering new books. And so: center-right on the wall, there they are. The two new capacious Arthur W. Brown bookcases. Each six feet tall and four feet wide; in face-frame style to match their shorter companions. They’re alphabetized. Memoirs and novels. Already read only. Literature only. Well, with a little history and evolutionary psychology on the far right. The oak is a shade lighter than the old five-footers’ mellow amber. But it will darken imperceptibly as they age. I’ve heard that most academics—most professionals—read in chunks of thirty pages or less. The average length of a professional article. So even when you have the time, on sabbatical or on holiday, after your thirty pages you feel you should be turning to something else. 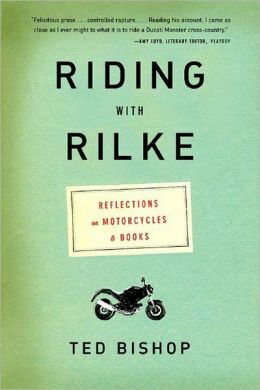 Now you’re piling up a stack on your dresser for winter break reading. For December and January. Actually two stacks. To the left, books for Spring classes. To the right, books that have lingered long in the to-be-read pile. 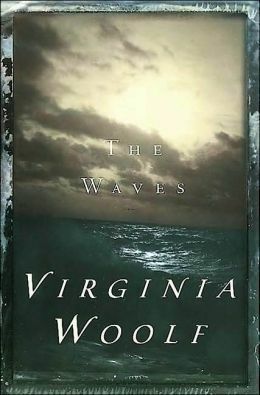 Like Virginia Woolf’s The Waves. Which you always think of after you make it to Florida, hear the waves breaking outside your sister’s beach condo, and wish you’d brought. A student expresses amazement that you buy physical books, or keep them. Yet, though no real foe of e-books, you do. You find the presence of physical books aesthetically satisfying and emotionally comforting. Objects of such pleasure. One for each mood. And at least two always going: in a nod to age, an easy night book and a harder one for morning. Books, to paraphrase your ex-friend Nick Carraway, are matters of infinite hope. Yet, like any object of art, like any perfected medium, they cry out for placement. A person’s home, you posit, must have not just pictures on the wall but at least one serviceable bookcase. Which always has its own story. Richard, when I tell you that one of my favorite writers is Anthony Powell and his “A Dance to the Music of Time” series, twelve very thick hardback volumes (of which one is titled “Books-Do-Furnish-a-Room,” which is a character’s nickname), you’ll know that it’s more to me than just the title of part of a twelve-volume series: books do furnish a room, as much a mental room as a physical one, and I totally understand your not being able to get rid of books. I constantly acquire more and more and just pile them up on already full shelves in tight spaces and smidgens of room, and I can’t find room for more bookcases, so you’ll know that I’m a worse hoarder than you are, because at least you have more bookcase room! Alas, Victoria, it’s only a matter of time till I’m back in that same boat with you. Hence this celebration. At the rate my new shelves are filling, I have less than a year to feel good about my organization. No time at all if I begin to buttress the Working Library with maverick books from lower quadrants of the house. Mine is now pared down to what I deemed the bare essentials, perhaps 5% of the books I have owned. We move too often to haul books with us, and we’ve decided to “travel” lighter through the rest of our lives. Simplify. P.S. Your shelves look awesome. Thank you, Tracy! A big investment, but I am fairly certain my last, in bookshelves. Thanks so much for this post. It calmed and reassured me. I was beginning to accuse myself of being a book hoarder and wondered even more when students might wander through my house, shaking their heads, like “Whaaaa? More books?” We work in my studio which is also wall to wall books! I know, Sharee, a different generation looks at us skeptically for this! But it carries a message, one of reverence, that is not lost on them. The delineations are wonderful: the basement library, the show library, and the working library. Just a terrific essay. Your inner child’s unfettered delight in your new shelves (always a joy to see in an adult) shines through. You may recall I went through a determined book-give-away period. But, thank goodness, I didn’t get rid of Buck’s “Journeys Through Bookland” series. And now, I’m acquiring physical books again, but through the filter of my “where I am now” self. One I’m looking forward to reading was recommended by my dentist, who also is the guy who sells us containerized Longleaf seedlings. He fixes teeth to supplement his true love. The book is called The Storied South: Voices of Writers and Artists, by William Ferris. It’s a hard back, with a CD in a pocket in the back with original interviews. Mickey (the unusual dentist) tells me this book is a treasure, and I believe him. I still read some things on Kindle or a Kindle app, but have returned to physical books with an equally physical yearning to hold them. Just the other day, Buck told me not to get rid of anymore books; not even grocery store paperbacks. “We can learn a lot about writing from the bad ones, too,” he said. And he’s right. The new shelves, the old ones, the beautiful wood floor — I’ll bet morning sun shines in that room, too. The morning sun does shine into the Working Library, Beth. I swear it’s a comfort just to walk in there. My new vow, of course, is that once the new shelves are full, I will cull. The unread (unlikely cull, honestly), the bad (though Buck has a point). A New Library for a new life stage has equal or greater merit than old books. In fact, I realize writing this that that describes my Working Library. I have imported few old books and classics to it—it represents the last several years of reading and writing. The trick for me will be when we move again. A heavy cull will be in order. Then again, if a new home does not come with built-in bookcases, it will need them. Hi. May name is Joan. Like you I’m a bookaholic. It’s too much fun to quit. Bookaholic is a good way to put it, Joan. And I agree, it’s fun. I’d like to think my father sold your father his Encyclopedia Britannica. For my father sold those gorgeous volumes door to door in the States and across the globe. How neat, Darrelyn. Those were the days. I grew up with these Britannicas—and my wife grew up with her own set, taller and red-bound. Just thinking of how big encyclopedias used to be makes me feel ancient. For instance, a friend in college spent summers selling sets, and almost got me into the gig but I backed out because I already had a job. His sounded adventurous, though. I love your habit! It’s just like mine, and I have a partner in my book crimes – my spouse! We have bookshelves in some of the craziest places — a total of three separate units in the family room, one unit in the dining room, another in the living room, and then we have spread to shelves in the closets not used for clothing and the floor in any room! Oh, and did I mention our separate working “offices?” Someone else used the word “hoarder.” I’ve become even worse now that I have a Kindle to hide the e-books on! Thanks so much for sharing your library and its shelves with us. Right there with you, Richard. I love books and I love my stacks of them. I can’t keep up. But I’m just going to keep trying.